Gov. 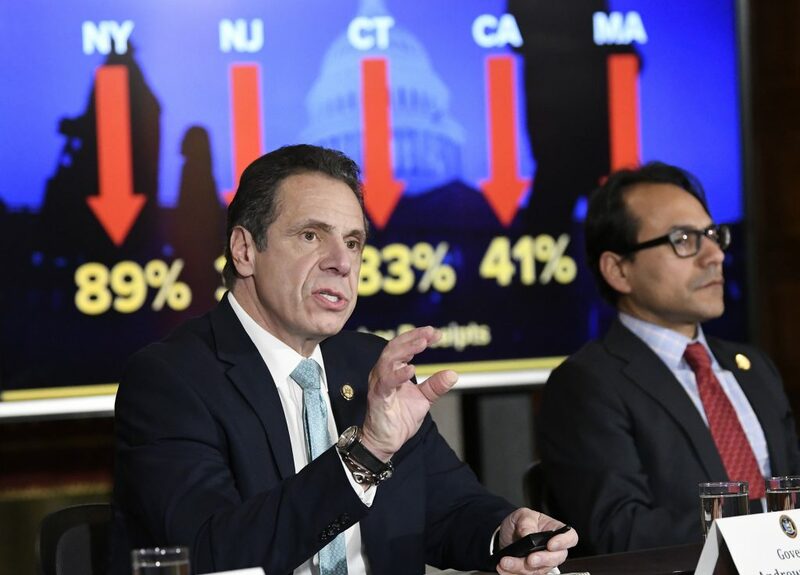 Andrew Cuomo’s approval rating is at the lowest of his eight years running the state, even lower than President Donald Trump, according to a Siena College poll release Monday. For the first time, half of all respondents express unfavorable views of the Democratic governor, with only 43 percent viewing him favorably. As for job approval, it cratered to 35 percent, with 64 percent saying he’s not doing a good job. Cuomo is now less popular than Trump in the liberal state. While 35 percent of voters approve of President Trump’s job, his disapproval was only 59 percent. The ratings plunge comes as Cuomo is pushing forward a raft of liberal laws that have been held back for years by Republicans.